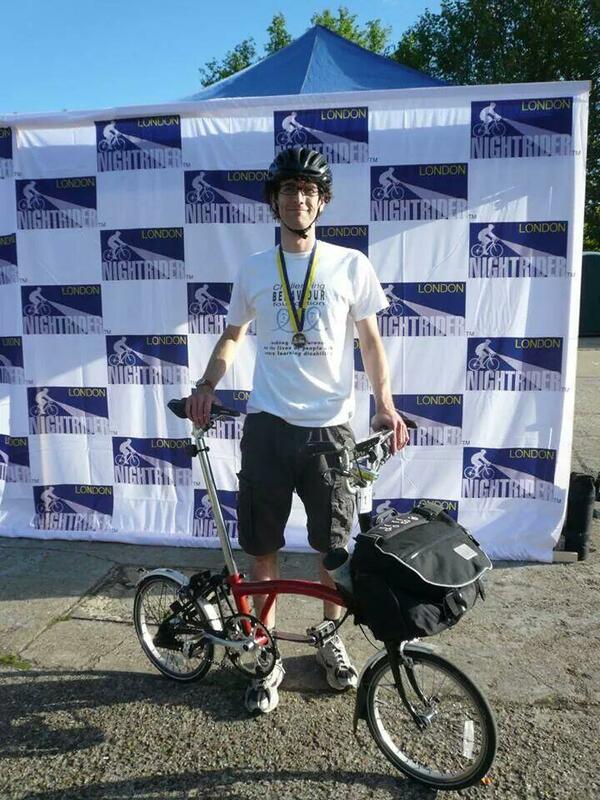 Adam Grant completes 100km Charity ride on his Brompton! - MEB Design Ltd.
Home > News > General > Adam Grant completes 100km Charity ride on his Brompton! On the 7th of June, Adam Grant from our London office completed a 100km charity cycle ride, ‘Nightrider’ starting at midnight and finishing at 7am. His chosen charity is The Challenging Behaviour Foundation which provides information and support to families and professionals caring for individuals with severe learning disabilities, who are described as having challenging behaviour.